Despite being voted the worst place in Britain to live, angry city councillors have stated that Peterborough is a fantastic city to live in. At Monday’s Cabinet meeting (February 25), Cllr David Seaton (Con), Cabinet Member for Resources said: “You may have read recently that Peterborough has won the 2019 C**p Towns award for being the worst place in Britain to live, with one unhappy voter apparently calling us ‘The biggest dump in England’.” “Well I don’t know who that voter was, and I don’t know where this publication gets its information from, but I would argue the exact opposite and state that Peterborough is a wonderful city to live in.” The controversial decision, published in the UK Quarterly The Idler, was apparently arrived at following more than 50,000 votes responding to a survey on its website. 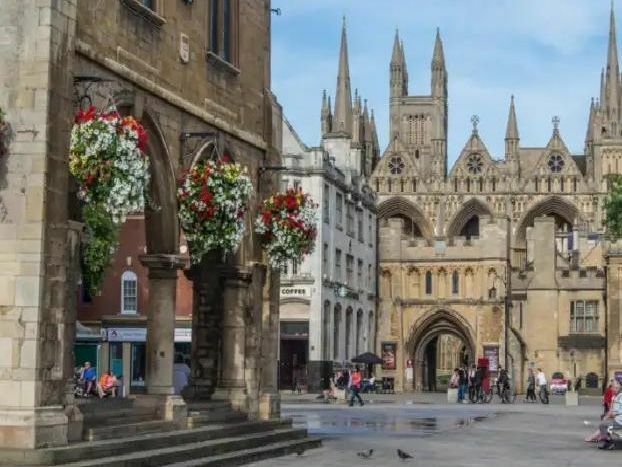 One person described Peterborough as: “Full of aggressive and inbred residents", while another critic said it was: “...draining”, adding: “Take a trip into the city centre and it's like walking onto the set of the 'Walking Dead' - every manner of inbred mutant adorns the streets." At the Cabinet meeting, Cllr Seaton responded: “The Daily Mirror recently called Peterborough a ‘fantastic city’, and Which Magazine called us: “The best place in the United Kingdom for young persons facilities.Our Norman Cathedral has just celebrated 900 years, we have Bronze Age sites at Flag Fen, the Nene Valley Railway, not to mention a fully-integrated multi-cultural population. Even the Leader of the Opposition, Jeremy Corbyn admitted that Peterborough was ‘...among the best cities in the UK’, so where are they getting this rubbish from, I simply don’t know?” City Councillors will decide how to respond to the so-called ‘award’, but categorically deny its allegations. Here's the Peterborough Telegraph's own response to the survey - 11 reasons why our city is a great place to live! 5. While other cities pulled their Lido down the queue for ours is out the door! 7. We have culture - lots of it! 8. Sorry, did we mention culture?